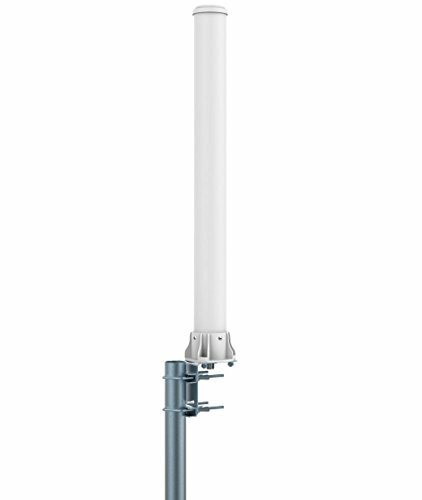 maxmostcom 4352727371 - Antenna dimension: 63x480 mm. External antenna adapter cable for Verizon jetpack mifi 7730L Novatel Mobile Hotspot. Gain: 9dbi cable with lMR200 Cable Length: 30ft. The package contains wide band outdoor omni antenna with 30ft cable, mounting bracket and antenna adapter cable for verizon jetpack mifi 7730L Novatel Mobile Hotspot 700MHz-2700MHz Wide-Band Outdoor Omni Antenna * Frequency RangeMHz 698-2700MHz * Impedanceohm 50 * Gain dBi 9 * Polarization Vertical or Horizontal * Radiation Omni * VSWR ≤3. 0 * horizontal beam width half-power 360 degree * vertical beam width half-power 30 degree * lighting protection direct ground * maximum input power w 100 * connector fme male * dimension 63x480 mm * radome material pvc * color white * operating temperature ℃ -40～+60 * Extension Cable with LMR200 Low-Loss Cable * Extension Cable length: 30 feet * Extension Cable connector: FME Female Verizon jetpack mifi 7730L Novatel Mobile Hotspot External Antenna Adapter * Connector: FME Male * Cable: RG174 * Length : 17 inch * Impedance: 50 ohms Wide-band outdoor Omni Antenna with 30ft cable and mounting bracket. Wide Band Outdoor Omni Antenna for Verizon jetpack mifi 7730L Novatel Mobile Hotspot 698-2700MHz 9dB - . Frequency: 698-960/1710-2700 MHz. maxmostcom - Length : 17 inch. Cable: rG174. Dual plug external antenna adapter cable with FME Male connector for Verizon jetpack mifi 7730L Novatel Mobile Hotspot Connector: FME Male. Impedance: 50 ohms. Highest gain wide-band Log Periodic Yagi Antenna with 30ft cable and mounting hardware. Frequency: 698-960/1710-2700 MHz. Antenna adapter cable for Verizon jetpack mifi 7730L Novatel Mobile Hotspot. Cable: rG174. 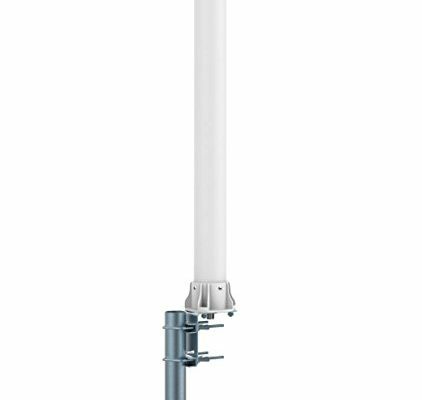 The package contains wide-band log periodic yagi antenna with 30ft cable, mounting hardware and antenna adapter cable for verizon jetpack mifi 7730l novatel mobile hotspot 700mhz-2700mhz wide-band log periodic yagi antenna highest gain * frequency range mhz: 698-960/1710-2700 mhz * gain: 11 dbi * vswr: =21 * max, powerw: 100 * connector type on antenna: fme male * lightning protection: dc ground * antenna dimension mm: 445x210x70 * Rated Wind Velocitykm/h: 100 * Radome material: protected ABS * Cable on Antenna mm: 400 * Diameter of installation polemm: 30~53 * Working TemperatureC: -40~+60 * Extension Cable with LMR200 Low-Loss Cable * Extension Cable length: 30 feet * Extension Cable connector: FME Female Verizon jetpack mifi 7730L Novatel Mobile Hotspot External Antenna Adapter * Connector: FME Male * Cable: RG174 * Length : 17 inch * Impedance: 50 ohms The wide Band Log Periodic Directional Antenna will collect the cell tower signal and send it through the cable to an amplifier, cell phone or cellular data card. Verizon jetpack mifi 7730L Novatel Mobile Hotspot External Log Periodic yagi antenna kit highest gain 11DB w/ 30ft Low-Loss cable - . It will help to boost signal and increase data transfer speed. Gain: 11dbi cable with lMR200 Cable Length: 30ft. maxmostcom 4336693889 - Verizon jetpack mifi 7730l novatel mobile hotspot external Magnetic Antenna 5db The package contains 5db magnetic antenna with 5ft cable and antenna adapter cable for Verizon jetpack mifi 7730L Novatel Mobile Hotspot. Gain: 5dbi cable with rG174/U Cable Length: 5ft. Improve signal reception and increase data transfer speed! 5db magnetic antenna * connector: fme female * cable: rg174/u * cable length: 5ft * Antenna Frequency: 690~960 MHz, 1710~2170 MHz, 2500~2700 MHz * Antenna Height: 12 inch * Gain: 5dB * lmpedance: 50ohm * VSWR: 2. 0:1 antenna adapter cable for verizon jetpack mifi 7730l novatel mobile hotspot * Connector: FME Male * Cable: RG174 * Impedance: 50 ohms * Length : 17inch Connector: FME Male. Cable: rG174. Impedance: 50 ohms. Frequency: 698-960/1710-2700 MHz. Length : 17 inch. Antenna dimension mm: 445x210x70 Antenna adapter cable for Verizon jetpack mifi 7730L Novatel Mobile Hotspot. Verizon Jetpack mifi 7730L Novatel Mobile Hotspot External Magnetic Antenna & Antenna Adapter Cable 5db - Antenna Height: 12 inch. Gain: 11dbi cable with lMR200 Cable Length: 30ft. Antenna adapter cable for Verizon jetpack mifi 7730L Novatel Mobile Hotspot.